PG&E excludes its highest voltage power lines – like the one suspected of sparking the Camp Fire – from its much publicized effort to cut power to prevent wildfires, NBC Bay Area’s Investigative Unit has learned. While the cause of the Nov. 8 fire is still under investigation, a dispatch recording obtained by NBC Bay Area points to a tree branch having contacted a transmission line near the town of Pulga, right at the time the fire began at 6:29 a.m. Critics have been quick to blame the utility’s last-minute cancellation of its plan to shut down many of its power lines in light of the predicted dry and windy conditions. The utility says conditions were not as extreme as predicted, but attorney Joe Cotchett says the dispatch tape shows PG&E was gambling with people’s lives. “This is one more example of PG&E putting profit ahead of safety,” said Cotchett, whose firm has repeatedly sued the utility over the deadly 2010 San Bruno gas explosion as well as last year’s North Bay firestorm. It turns out, however, that even if the utility had de-energized its lines, the program does not include the class of transmission line suspected in the Camp Fire. In fact, the plan excludes transmission lines like the one at issue, which handles 115,000 volts. PG&E says those lines are rigorously regulated. And while officials say the utility does have the ability to shut off these lines, which carry power through the state, it doesn’t do it. 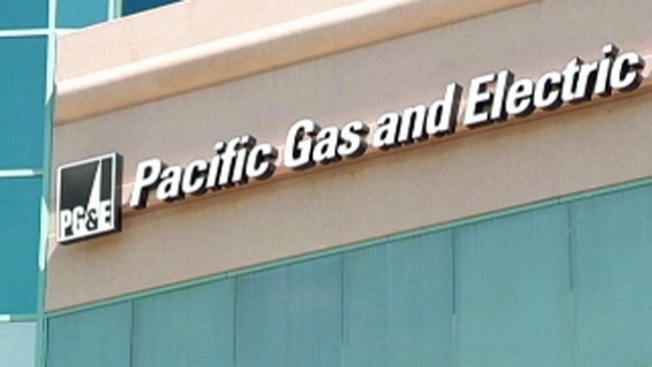 In a statement, the company said, “In light of the potential public safety issues resulting from de-energizing higher voltage transmission lines, including the potential to impact millions of people and create larger system stability issues for the grid, PG&E has not extended” the program to 115,000 volts or higher transmission lines. Such lines are typically on reinforced steel towers. Another attorney who has sued the company says with higher voltage comes greater danger. Cotchett said the company should have done more. “I’m outraged. Lives were lost because someone didn’t step up and say we’re going to turn off the power,” he said. PG&E has 18,000 miles of transmission lines – which carry 60,000 volts or more – in its 100,000-mile system. Officials say it is too early to say what changes, if any, will be made to its shutdown program. State Sen. Jerry Hill, (D-San Mateo), a frequent critic of the utility, says he knows of cases when utilities in Southern California have shut off their high power transmission lines. He worries that keeping the power on suggests PG&E’s power program provides the public a false sense of security. “They need to make sure they can do everything within their power to stop that power from going through those lines," he said, “if there is a potential hazard. They haven’t done that, and they need to do it.